An apple a day may keep the doctor away, but man’s best friend needs a checkup once in a while no matter how healthy its diet is. Veterinarians diagnose, treat, and research medical conditions and diseases of pets, livestock, and other animals. Veterinarians treat illnesses and injuries, conduct surgical and medical procedures and dental work, and vaccinate animals against diseases. They also teach owners preventive healthcare. Veterinarians have different types of practices: Companion animal veterinarians most often work at clinics and care for cats and dogs, but also treat other pets, such as birds, ferrets, and rabbits. Equine veterinarians work with horses involved in performing, farming and racing. Food animal veterinarians work at farms and ranches to treat farm animals such as pigs, cattle, and sheep. Food safety and inspection veterinarians inspect and test livestock and animal products for major animal diseases, and work to improve animal health and reduce disease transmission. They also enforce food safety regulations. Research veterinarians work in laboratories, conducting clinical research on human and animal health problems, and may test effects of drug therapies or new surgical techniques. 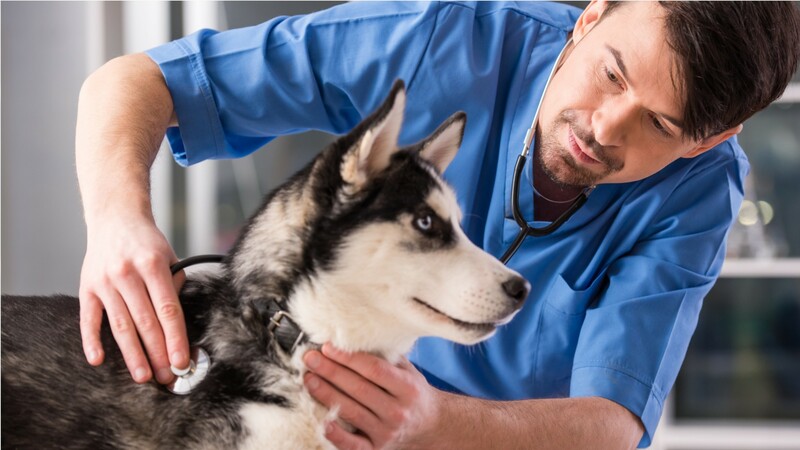 Veterinarians must have a Doctor of Veterinary Medicine degree, usually a 4-year program, and pass the North American Veterinary Licensing examination. Veterinary school is highly competitive and typically requires applicants to have taken many science classes in college. See more details at O*NET OnLine about veterinarians. Veterinarians by U.S. Department of Labor, Employment and Training Administration is licensed under a Creative Commons Attribution 4.0 International License.